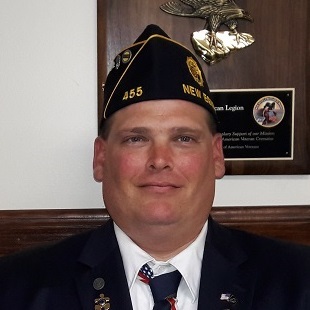 POST 455's 2017-18 LEGIONNAIRE OF THE YEAR! 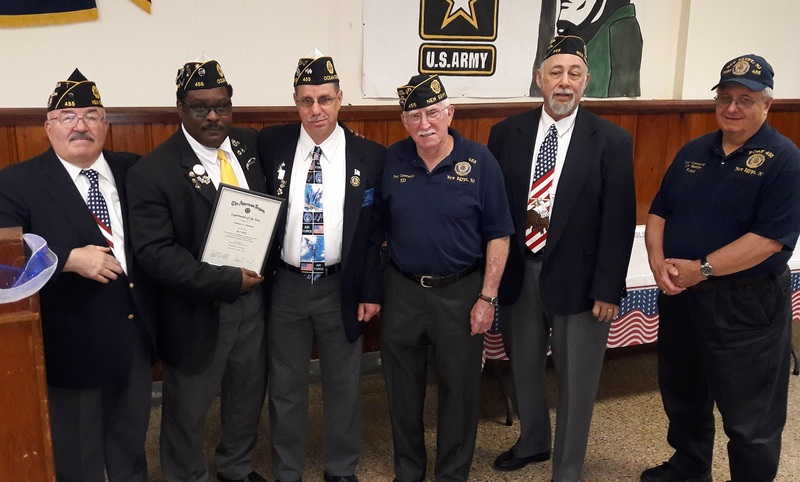 Congratulations are in order for Post 455 Past-Commander and present Ocean County Commander, Anthony L. Gladden (2nd from left) for being named the 2017-18 Post 455's Legionnaire of the Year! He was presented with the award at the Post 455 Annual Installation on May 20, 2018 by Post Commander Gene Zaiss (left). He was joined by some of the Past-Commanders pictured from L to R after Tony: David Snody, Ed "Pappy" Phillips, "Dollar" Bill Kisner & Fred Schaber. CONGRATULATIONS TONY GEE! !